It’s impossible not to see the color which sets it apart from its neighbors. For a long time, the residents of Wasmes knew it as a pink house. It’s “new” color is only a reflection of what it was to begin with. The work of the architect Franck Alland, assisted by local companies, provided the original facade with the most beautiful effect, thanks to samples taken at the house. 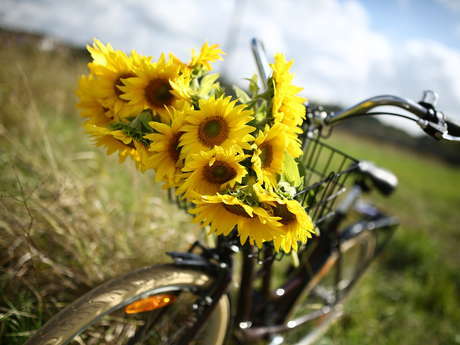 What better symbol than this flamboyant color to pay homage to van Gogh. Van Gogh cited the Maison Denis in one of his letters sent to his brother Theo on March 4, 1879. He lodged with the inhabitant of the Denis after arriving in the Borinage to complete his training as pastor. 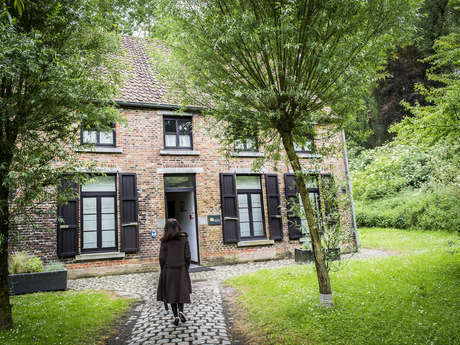 This house is one of the rare witnesses to the presence of the painter in the Borinage region. It was therefore a priority to preserve this heritage site and to share it with the entire population and the artist’s fans. To save the history of the place, a very simple room, which could have been Vincent’s, was accordingly furnished. An old shaft, visible from the outside, has also been preserved. It symbolizes the living conditions at the time, and was undoubtedly a place that the painter visited daily. The Maison van Gogh has found its place today. It completes the “pilgrim’s path” of the “Van Gogh Europe” trail, which touches all the places where the painter had lived. From his birthplace at Groot Zunder to the inn of Auvers-sur-Oise, the old Maison Denis has finally found its place. You won’t find canvases or drawings by the artist, but some parts of the scenery which he used to characterize his stay. A touch screen shows ten original letters which were translated for the visitors to French, English and Dutch. A film will transport you to the Borinage of his time, with some excerpts of the painter’s letters. Van Gogh had a talent for writing. His letters all witness his everyday life. A rare heritage to dive into “his time” and share his emotions. For the visit. Turn to the Colfontaine Cultural Center, which manages group visits during the week. Tel. : 065/ 88 74 88 or by email: cccolfontaine@hotmail.com. The house is open every weekend from 10:00 to 16:00. 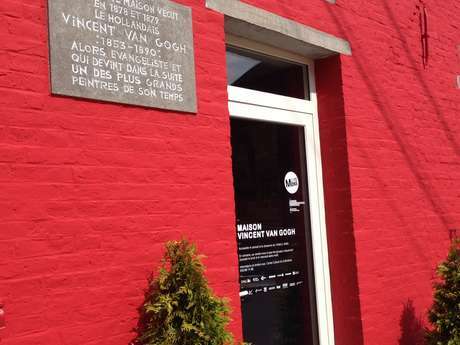 You can also get to the Van Gogh house in Wasmes with the Pass Van Gogh, that you can buy at visitMons or directly on this website, or via the Mons Card.